The Overwatch League’s first season was a disappointment for Seoul Dynasty. With the end of the Overwatch League’s regular season, teams have begun preparations for season two. 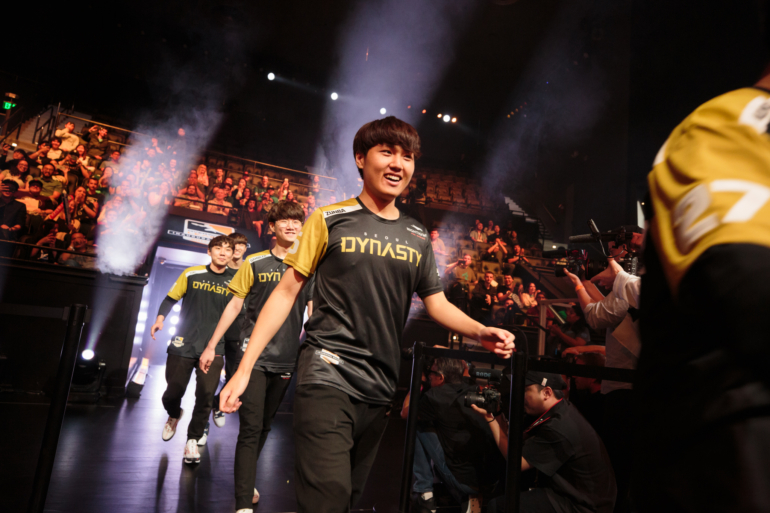 For Seoul Dynasty, that includes a massive coaching overhaul. Gen. G’s Overwatch League team Seoul Dynasty ended the inaugural season in eighth place—a definite disappointment for the former championship-winning team once called Lunatic-Hai. Teams won’t be able to start signing and trading players until the postseason matches finish, so Seoul Dynasty is starting with the coaching staff. The organization has promoted coach Lee Ho-cheol to general manager of Seoul Dynasty, which is expected to “optimize the team’s performance for the 2019 season,” Gen. G said in a press release. Lee led GC Busan to a championship title in the OGN Overwatch Apex’s fourth season before transferring over to coaching duties with Seoul Dynasty. But the rest of the coaching staff has been “relieved” of their duties, according to Gen. G. Former general manager Baek Kwang-jin and coaches Chae “alwaysoov” Ho-jeong, Kim Yo-han, and Cho Yoon-ho are no longer with Seoul Dynasty. For Baek and Chae, that means leaving a group of players they’ve been working with since 2016 and helped the roster win multiple Overwatch Apex seasons. Something there hasn’t transferred to the way the squad plays at the Overwatch League’s Blizzard Arena Los Angeles, and it’s likely that more changes are incoming. Gen. G hasn’t announced replacement coaches for Seoul Dynasty, however. The Overwatch League trade window for current players in the league and Contenders opens on Aug. 1 after the Overwatch League finals conclude in late July. From Sept. 9 to Oct. 7, teams can sign free agents. Gen. G hasn’t said if they want to keep the current roster together—and given this season’s results, anything can happen.